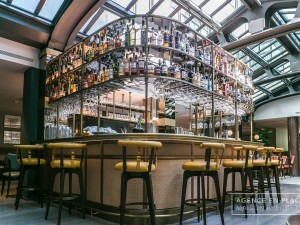 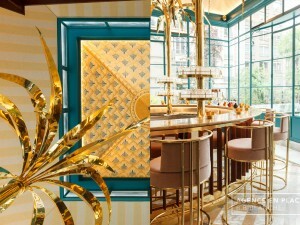 The Groupe Baroque, a renown company of Geneva’s gastronomic scene and nightlife, is reborn within the Passage des Lions after a long-time due to work closure to get dressed for the occasion in a new showcase, a stately decorum with an awe inspiring classy-contemporary design. 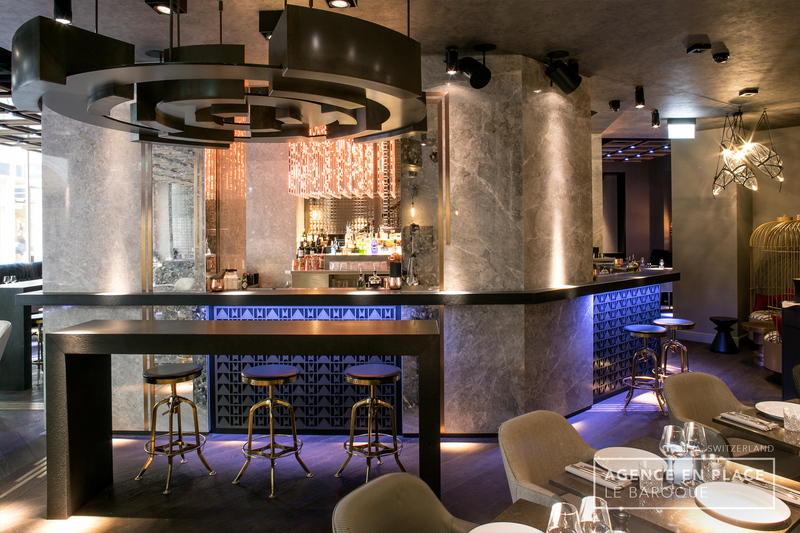 The building includes a semi-gastronomic restaurant offering to its 150 guests an international-taste fine cuisine. 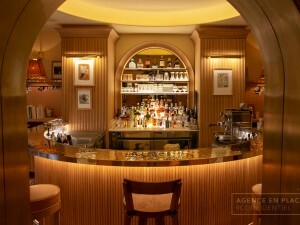 On the first floor, the cocktail bar, nestled on a terrace at the edge of the gallery's historic canopy, invites you to enjoy a selection of classics and signature fine drinks in a cozy atmosphere animated by a chic and worldly clientele. 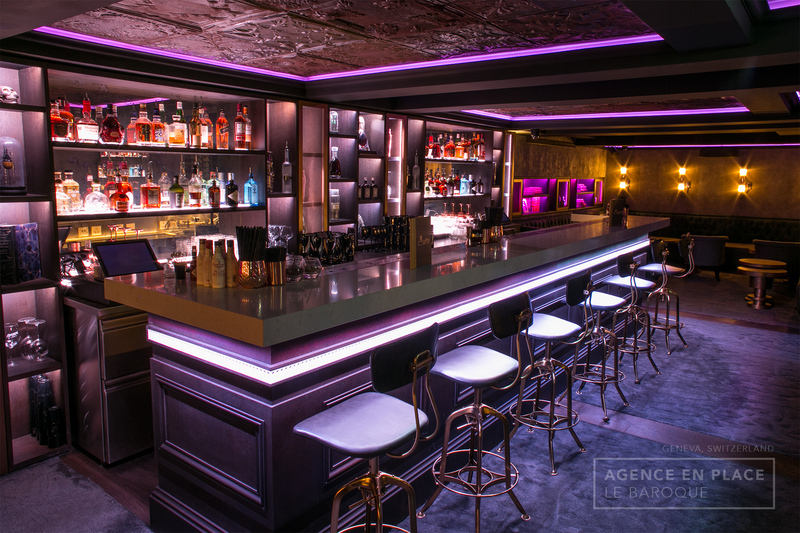 In the basement, its private club Cosette welcomes its fifty members to start the evening in privacy in a boudoir where confidentiality meets festivity all along the night. 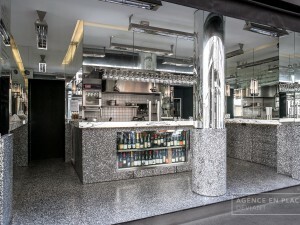 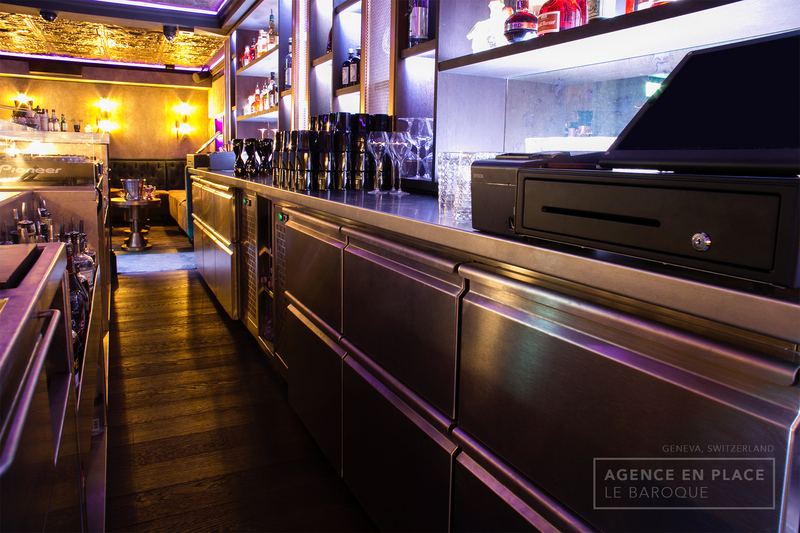 Agence En Place has been consulted for the design and realisation of the three interior bar layouts. 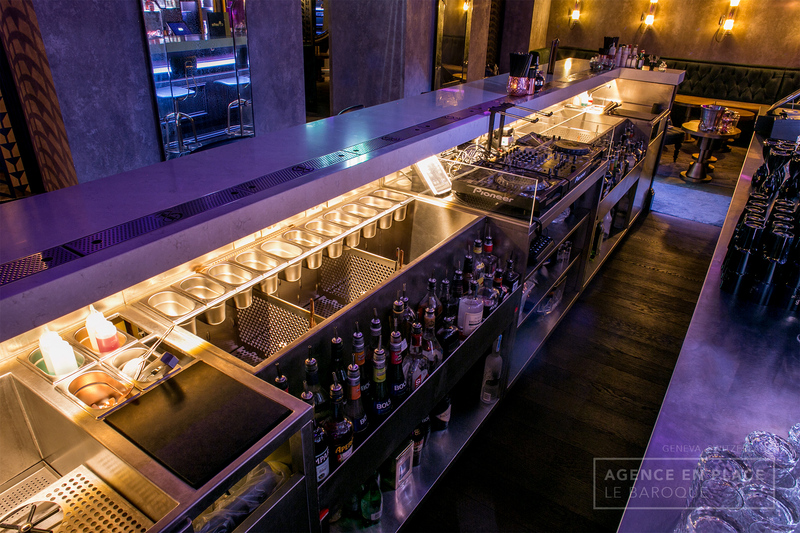 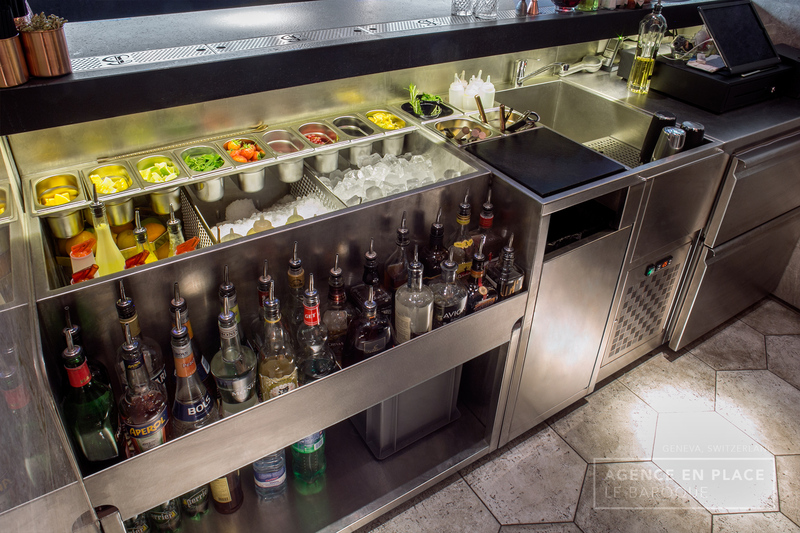 Each configuration is adapted to its type of service - restaurant, bar and club - and fits the specifications as much in terms of functionality as aesthetics, given the large volumes of space and mix of materials used. 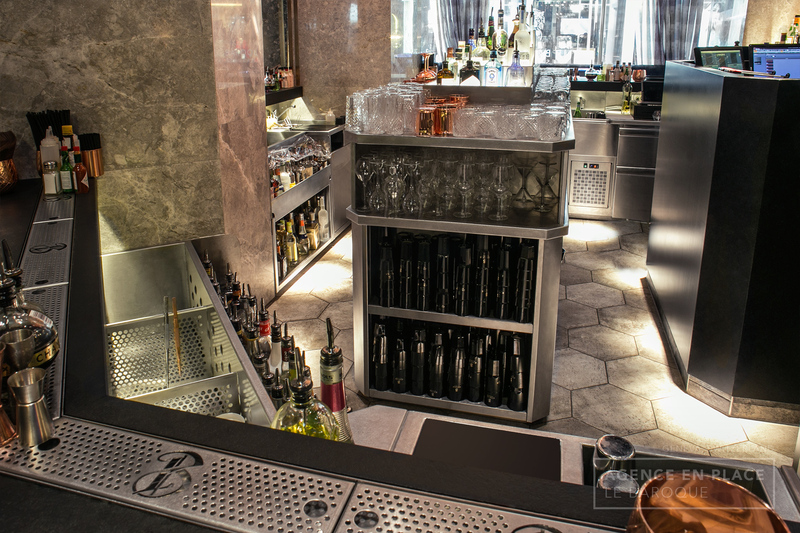 The bars are equipped with several working stations and tailormade refrigerated cabinets, each integrating its own positive cell as well as high volume compartments to optimize the storage of the products. 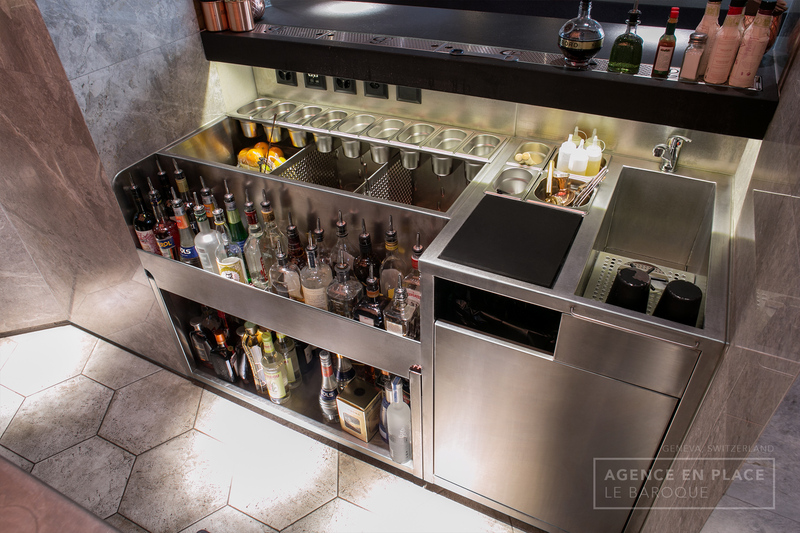 Collaboration : cabinet K Architecture.